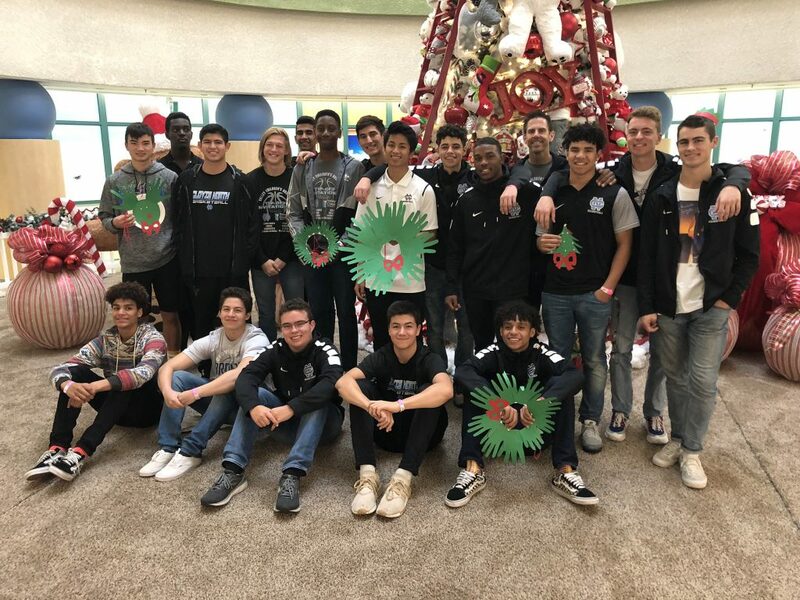 The Clovis North boys basketball team spread some holiday cheer ahead of its season-opening tournament. Coordinated by coach Tony Amundsen, the Bronco student-athletes paid a visit to Valley Children’s Wednesday morning where they engaged with patients in activities like arts and crafts. The visit is in conjunction with Clovis North’s fifth annual Valley Children’s Tip-off Invitational, a three-day tournament that benefits the hospital. “The idea behind the tournament was to promote community service and community support from our players understanding that all the proceeds will go to Valley Children’s Healthcare,” Amundsen said. This year, the Broncos made wreaths and Christmas tree ornaments with patients. Some players also handed out stuffed animals. Amundsen has noticed a sense of enthusiasm and community pride every year during the pre-tournament visit. Pleasant Valley-Chico, Millennium-Arizona, Newark Memorial and reigning tournament champ Sacramento High.